Martha actually has been in an Apple Store, back in 2010. 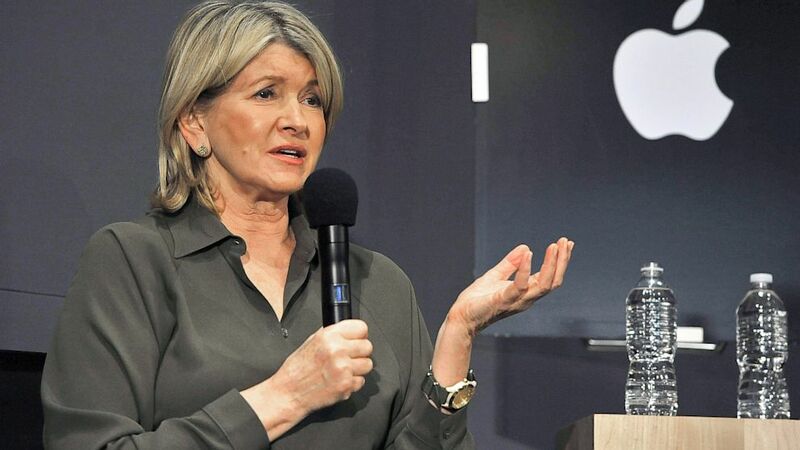 On Thursday, Sept. 26, Martha Stewart, apparently distraught at breaking her iPad, went on a tirade against the Apple Corporation and risked damaging her brand and her own public reputation and image. As Business Insider (and many others) reported, Stewart dropped the iPad - which was given to her personally by the late Steve Jobs - and the glass shattered. Her tweet, "I just dropped my iPad on the ground and shattered two glass corners. What to do?does one call Apple to come and pick it up or do I take it?" made her come off as completely detached from the millions of average Joes and Joans who have to get off their butts and go to the Apple Store to have it fixed or replaced. She noted, in a clearly exasperated tone even detectable on twitter, "i cannot believe that Apple Public Relations is mad at me for tweeting about my Ipad and how to get it fixed! steve jobs gave it to me!" She later explained it was a "silly joke" but the following day, was still at it, noting that "Let's now talk turkey: Ipads addictive,awesome,expensive. Glass should /could be unbreakable. That the iPad works with cracked corners-great. ... But the cracked glass is sharp and can cut. I was just upset that I(someone)was clumsy and let the iPad fall out of the car. To fix is time..."
She continued to rant and rave about it on twitter until, apparently, Apple’s PR department stepped into tell her to stop talking about it. And yet, because they didn’t solve the problem, she continued to rant about the incident and Apple’s failure to act, making the perception of her detachment even worse — even though her atrocious spelling does bring her a bit down to earth a bit. Stewart is no stranger to either controversy or potential career-ending moves. In 2004, Stewart was convicted of charges related to the ImClone insider trading affair and there was speculation that the incident would effectively end her media empire. But this misstep, while seemingly small compared to insider trading, reignites the image that she is a privileged, out-of-touch multimillionaire who doesn't, and can't, relate to readers and viewers of her online, print and television productions. I don't really believe that's true, frankly, but the perception is clearly driven home by the tweets, which are bound to be retweeted many, many times and - if the writers at SNL are still on the ball - will surely be the subject of a rather nasty, and even possibly funny, skit. Were I her PR consultant (and call me, Martha! I’ll even come to your house!) I’d advise her to come clean and admit that she was clearly distraught over the situation and tweeted without considering her next steps to make the situation right. This means she abandons her first reaction, which was to claim the entire thing was a “joke” which wasn’t the case, clearly. The fact that she was distraught over losing a precious memento is understandable. We can all relate. Then I’d find a way to make “iPad” and “Martha Stewart” more than a punchline when they are Googled together. (Hint: Elementary schools need iPads, even in Connecticut. Perhaps not in wealthy neighborhoods, though.) While this seems crass — and gets PR people in trouble — if it is meant from the heart, and isn’t a ‘stunt,’ people will at least give her credit for honoring the legacy of Steve Jobs, and the intention of his gift to her. Press photos (or even iPhone photos posted online by average Joes and Joans) of her standing in line at an Apple Store would also go a long way to repairing not only the damaged iPad but also her once-again tarnished image.